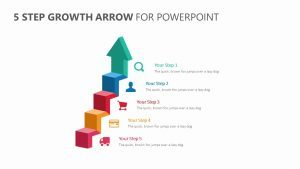 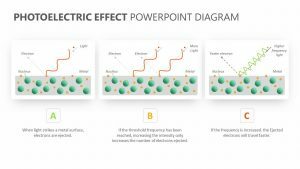 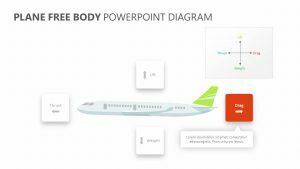 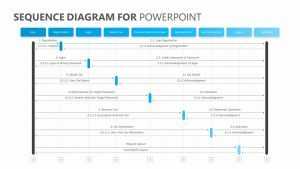 2 Way Arrow Diagram for PowerPoint. 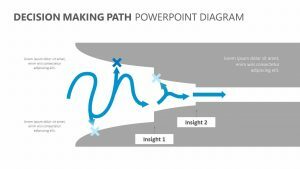 int is a way for you to visualize the two main aspects of the paths that need to be taken to reach your goals and the ways in which they intersect. 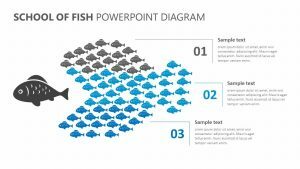 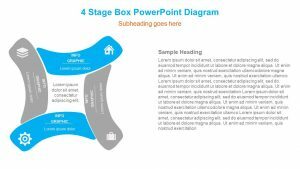 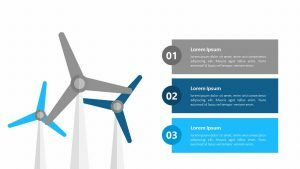 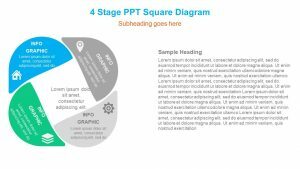 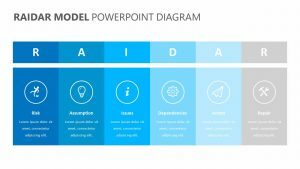 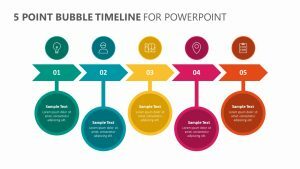 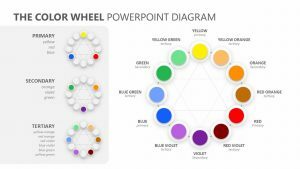 These PowerPoint slides details this by showing the goal in the center of a circle. 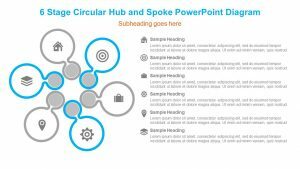 From these circles, two arrows reach out and extend toward two different text blurbs, each one labeled success and the arrows labeled one and two. 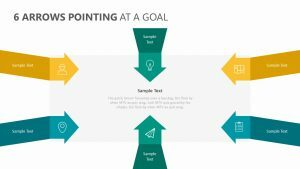 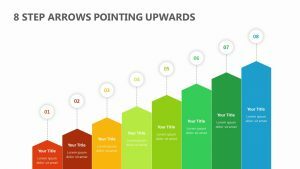 These arrows feature room for text inside of them that can talk about the steps, and the blurbs beside them can be used for metrics of success.